The parent company of Ladbrokes Australia, GVC Holdings; has acquired the new brand on the Australian corporate scene Neds for an initial purchase price of $68 Million. The Neds Australian bookie business has seen rapid growth since launching in late 2017, increasing its market share to the point where it is expected to take $1 Billion in bets for the year and generate over $100 Million in revenue. The final purchase price to could be as high as over $95 Million depending on earn out conditions around the sale, and makes it twice that Neds founder Dean Shannon has started a bookmaking brand and then cashed out to Ladbrokes. Shannon sold his original betting brand Bookmaker.com.au to the same entity in 2013 for just over $22 Million. The buy out becomes just another in the consolidation phase of the Australian betting market, with William Hill buying TomWaterhouse.com.au, Centrebet and Sportingbet in 2013; PlayUp Interactive buying Topbetta, ClassicBet and DraftStars earlier this year; while Topbetta had already acquired Madbookie in 2017; and more recently The Stars Group owned BetEasy bought William Hill out of the Aussie betting landscape. This more recent deal is notable though due to the speed of the entry and exit strategy executed by Dean Shannon. Neds only launched in in the first week of October 2017, and just over 12 months later Shannon has opened the Neds Punters Toolbox and hit the Jump Off option. The magnitude of the sale price and speed of the exit suggest Ladbrokes have at least had to cover a substantial Price Boost in the hope of a long term Fluc Up on their Australian market share. There is no word yet on whether the brands will continue to operate separately although GVC Holdings is expecting to extract increased margins of $16 Million by removing duplicated operations and other synergies. The full realisation of these efficiencies are not expected until 2021 which would more than likely will precede any brand merges. 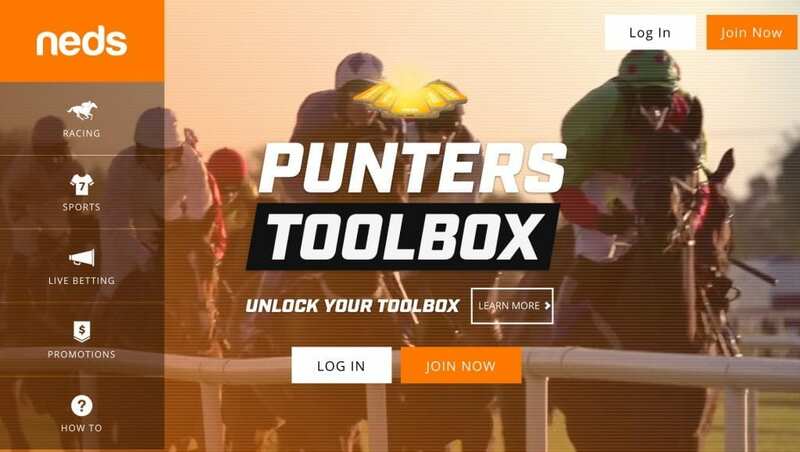 *If you don’t know what Neds Punters Toolbox, Jump Off, Price Boost and Fluc Up are; then do yourself a favour and use Neds Code : GETON500 to join Neds and explore the Punters Toolbox.